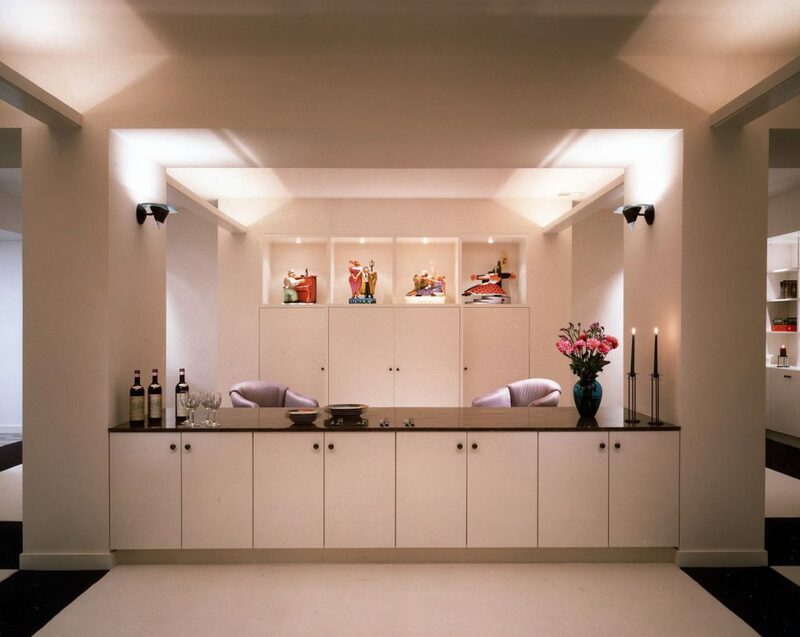 A fluid design plan was key to transforming a drywall basement dominated by unsightly support columns into an elegant space with something for everyone: an attractive party setting, a sauna, a 1,500-bottle wine cellar, a home gym, and storage. Of course, having 2,100 square feet to work with helped. 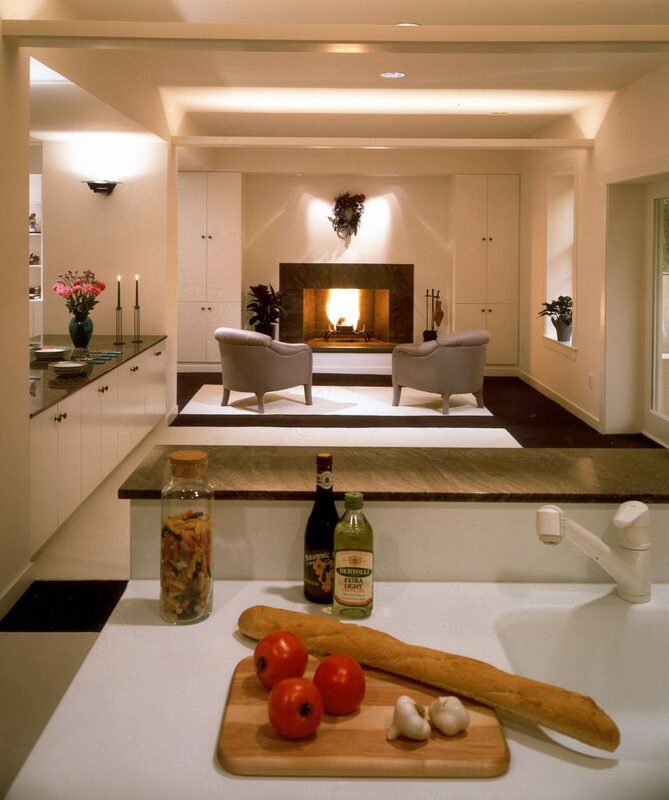 A kitchenette and island make everything easy, and the fireplace lends a warm ambience. At left, the buffet bar disguises support posts. 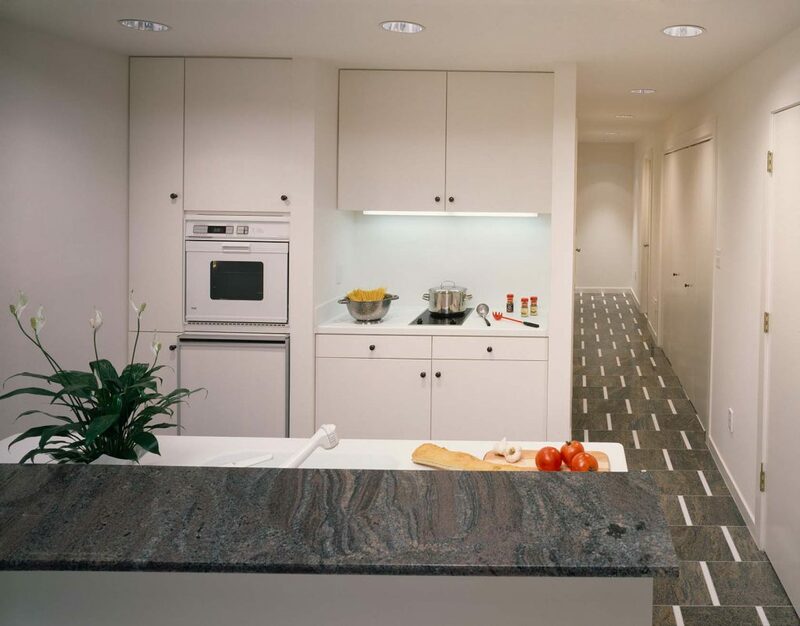 A custom-designed buffet with built-in cabinetry wraps the walls, concealing a home theater and stereo system and the children’s toys, while inviting display space for sculpture. That’s no minibar — it’s a mini-kitchen, tailor-made for entertaining or just day-to-day ease in fixing a snack. To brighten the space, we put in a ceiling trough with bars of halogen uplifting spanning two sides of the room. To scoop in natural light, we created a stair terrace in the backyard and added French doors and windows.